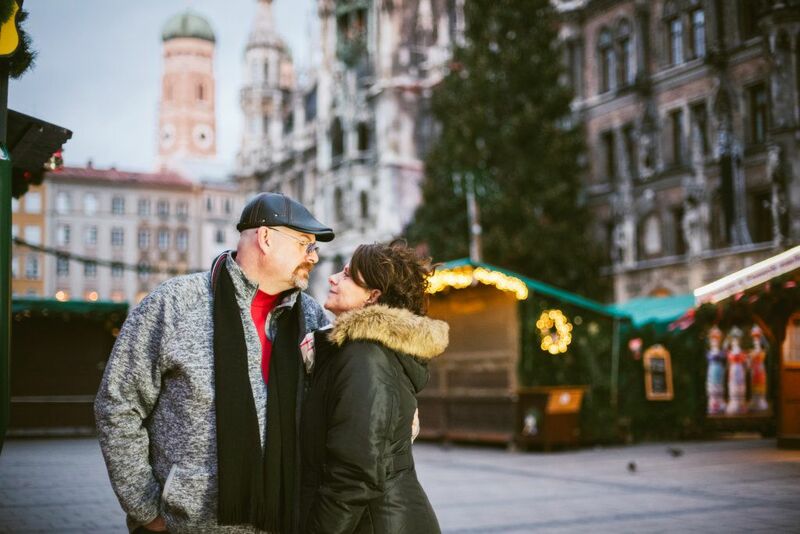 Christmas can be a magical time for families, made even more so with a visit to Munich, Germany, which hosts an incredible Christmas market each year. So when Jennifer and Greg were visiting the city with their family at Christmas, they wanted to make sure they made the best of it. 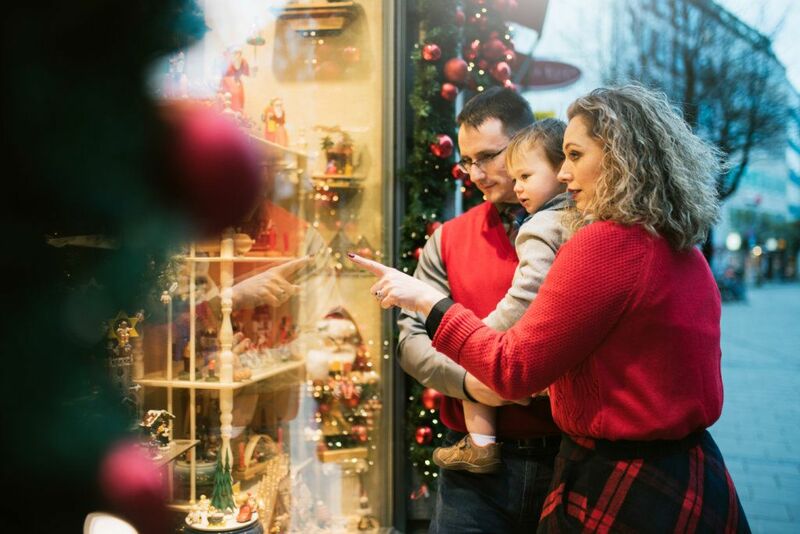 Many Christmas traditions that we practice in Europe and North America originated in Germany, including putting up a Christmas tree and using Advent wreaths. Christmas in Germany is truly fantastic, full of Christmas markets, Glühwein, and tasty treats. Munich, a historical city worth visiting year-round, is particularly lovely at Christmas. The Christmas market is held in Marientplatz in the centre of the city each year, and boasts an enormous Christmas tree, lit up with thousands of tiny lights. Munich is the capital of the Bavarian region of Germany, and is famous for its beautiful architecture, culture and, of course, Oktoberfest, held each fall. 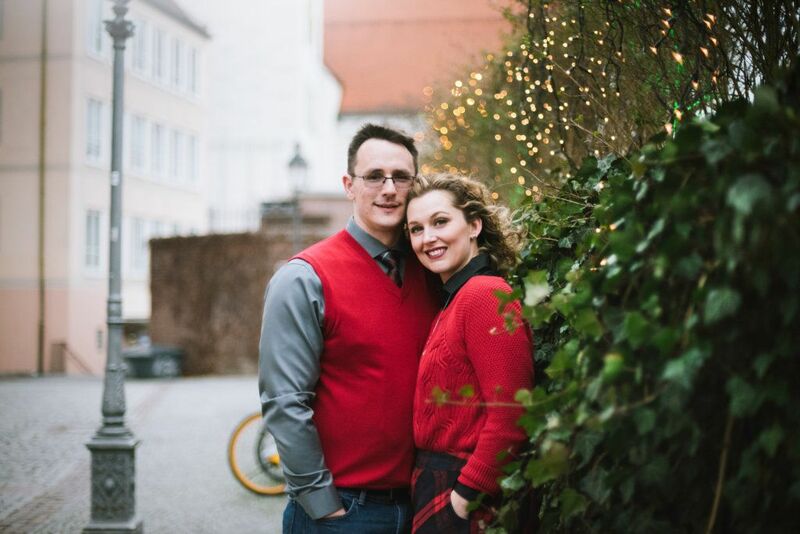 It was against this festive backdrop that Jennifer and Greg wanted to have some family photos done, and they enlisted the help of a professional vacation photographer named Sophia, whom they had met previously. 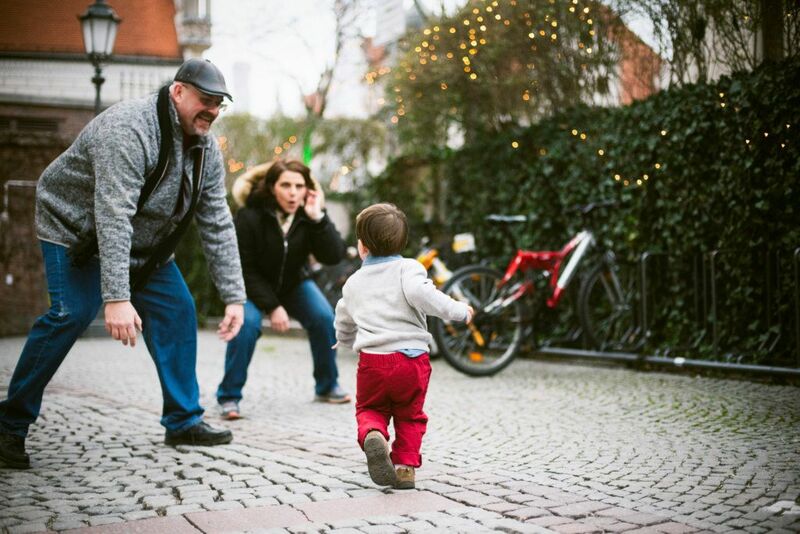 The entire family, which included their 2-year-old son as well as Grandma and Grandpa, made sure to dress warmly for the shoot, but they were still very coordinated, which really makes the photos even better. 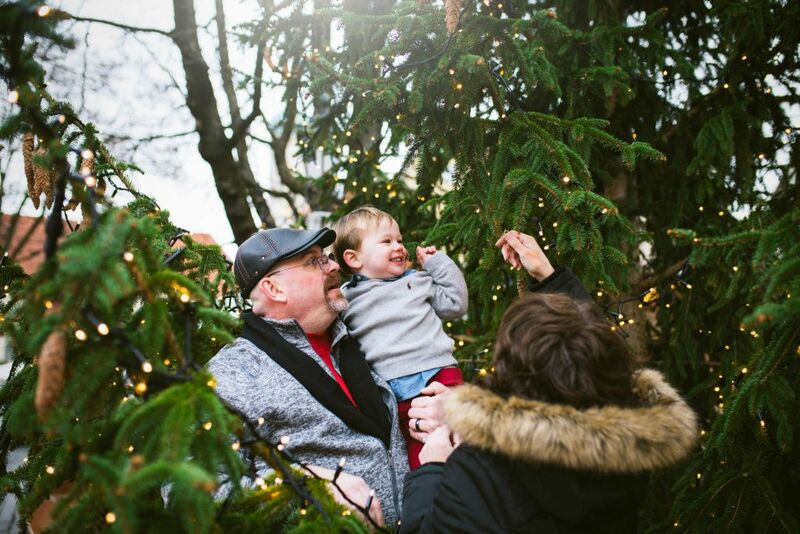 With the twinkling lights, and red and green decorations of the area behind them, Sophia took lots of photos of the family enjoying their day together in the historic Bavarian city, feeling the excitement of Christmas. Sophia made sure to take many different shots of the group, including some of just Jennifer and Greg, as well as each parent with their son, and the little boy with his grandparents as well. Everyone is truly represented. Sophia utilized some of the greenery in the area that had been put up for the holidays, as well as Munich’s terrific architecture. Its red and white buildings are perfect for Christmas shoots! 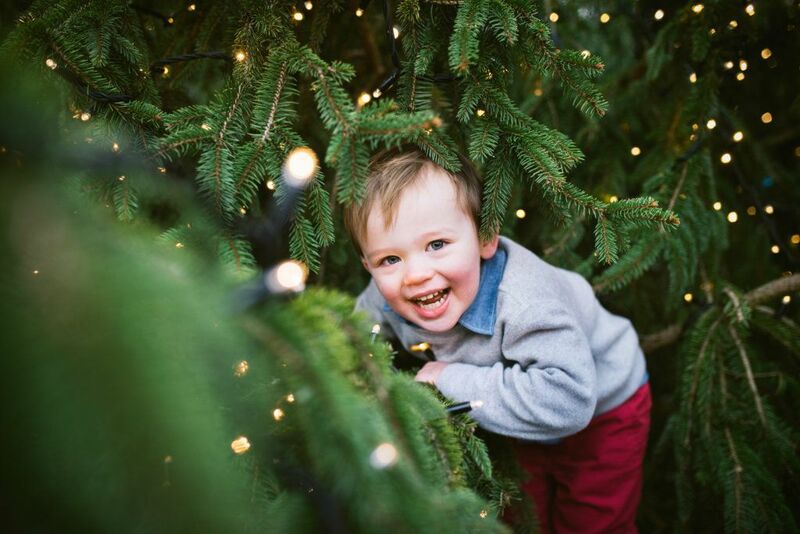 Some of the best photos, however, are of the family playfully interacting around and even in some Christmas trees. The fairy lights look like shimmering stars, and really make the images special. Each and every one of Sophia’s family photographs is beautifully composed. They are not overly stiff in any way. The family is, instead, simply having fun together. And it’s such a refreshing change to have a family photo shoot done outside, somewhere other than a stuffy studio filled with props. By using the existing landscape and scenery, Sophia is able to create both wonderful family and vacation photos for Gregg and Jennifer. They have a wide variety of images to choose from and to use as holiday cards or décor. And the very best thing about hiring a professional photographer to take family photos is that you know you will get well-focused and well thought out images, instead of having someone missing from the group, or blurry selfies. Vacation photographers like Sophia are able to give their clients the best possible holiday experience, and wonderful memories to last a lifetime. As local experts, they know the best sites for all kinds of photo shoots, including family holidays.